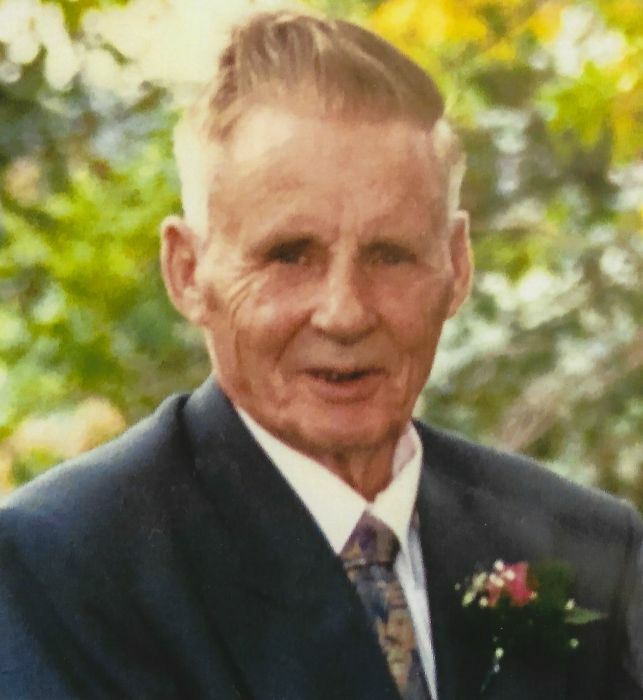 On Monday, September 3rd, 2018, Herbert Richard Meabry of Edmonton, Alberta passed away in his home, surrounded by family, at the age of 90 years. He will be deeply missed and always remembered by his loving wife, Leona; his children, Diana Meabry-Stojanowski (Rick), Donna McGonigal (Gordon); grandchildren Brandon, Braydon, Garrett, Brianne, Brett, and Kennedy; step-children, Leon Carifele and Sandra Capot; step-grandchildren, Christina, Morgan, and Corey; brothers, Preston and Wayne Meabry. Herbert was predeceased by his parents, Frank and Vera Meabry; brothers, Jack, Delbert, Norman, Kelly and sister, Elizabeth. Funeral services will be held on Monday, September 10, 2018 at 2:00 p.m. at Baker Funeral Chapel, 5302-50 Avenue, Wetaskiwin, Alberta with burial to follow. In lieu of flowers, memorial donations if desired may be made in Herbert's name to Canadian Blood Services, 8249 - 114 Street NW, Edmonton, AB, T6G 2R8.